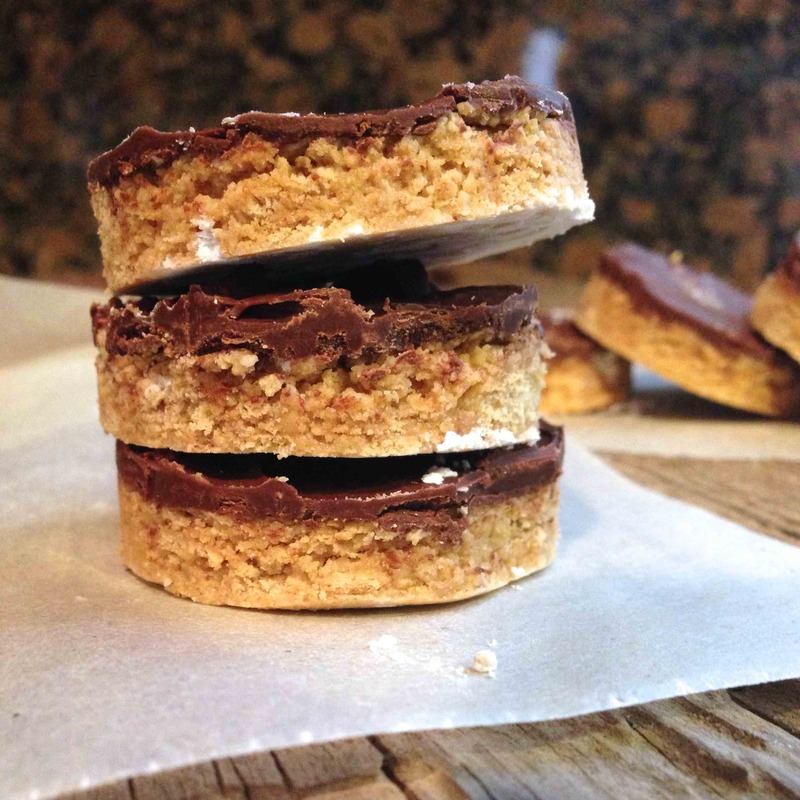 No baking involved with these fast and easy icebox cookies. I actually made these a few months ago from The Meatball Shop Cookbook by Daniel Holzman & Michael Chernow. 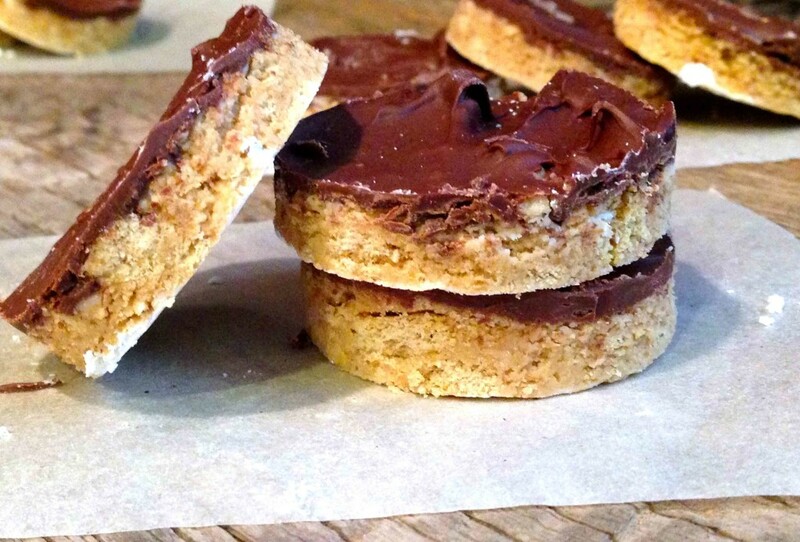 Matt even liked these, but who wouldn’t with an ingredient list with peanut butter, chocolate, butter, confectioners’ sugar, and graham crackers. For an additional twist, try melting white chocolate in additional to semisweet chocolate. You can drizzle the white chocolate on top of the semisweet or make half the batch with a semisweet chocolate layer, and a second batch with a white chocolate layer. Yum! Cream the butter, peanut butter and confectioners’s sugar until light and fluffy. Stir in crushed graham cracker crumbs. Dump the dough onto prepared wax paper and roll out to less than 1/4-inch thick. 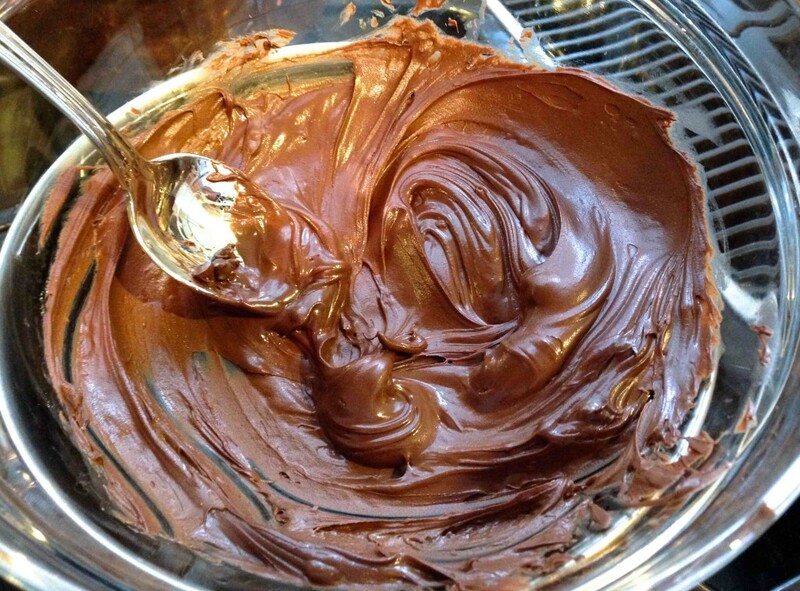 Melt the chocolate chips in the top of a double boiler. Spread melted chocolate over sheet of cookie dough. 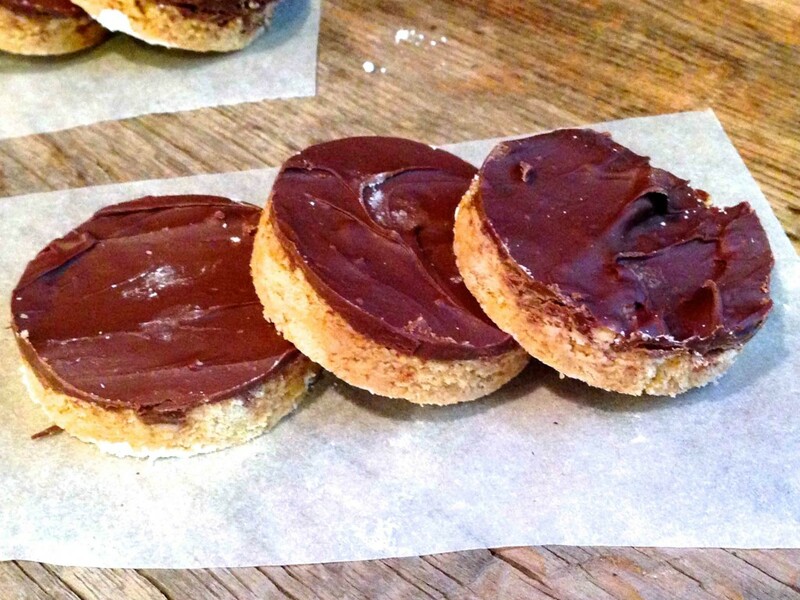 Cut out cookies with a 2 1/2-inch round cutter. Using a stand mixer, cream the butter, peanut butter, and ½ cup of the confectioners' sugar until light and fluffy about 3 minutes. 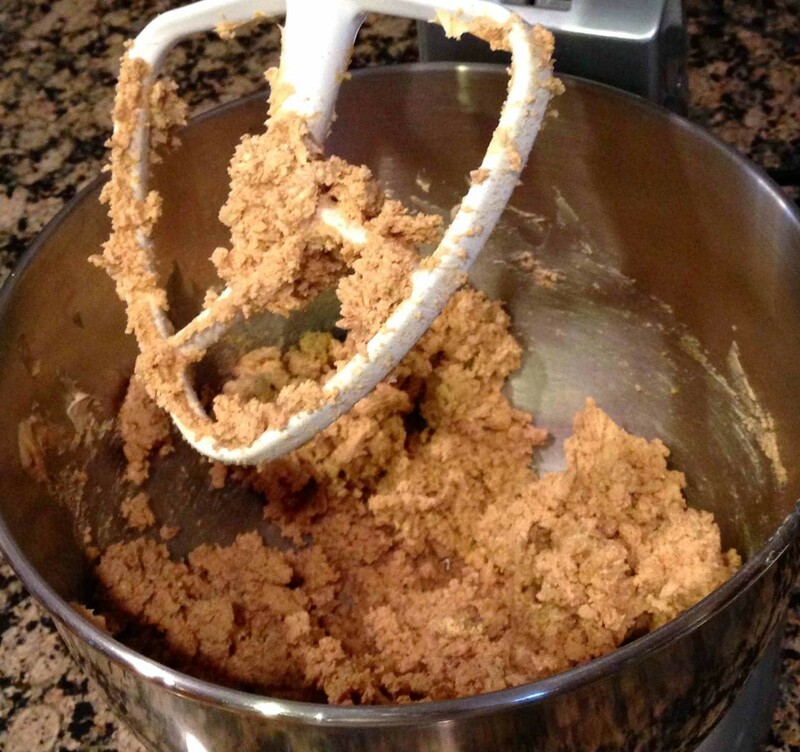 Stir in the graham cracker crumbs and mix until a stiff, crumbly dough forms. Lay out two 24-inch lengths of wax paper, overlapping them to produce a large square. Dust the waxed paper with ½ cup of the remaining confectioners' sugar. 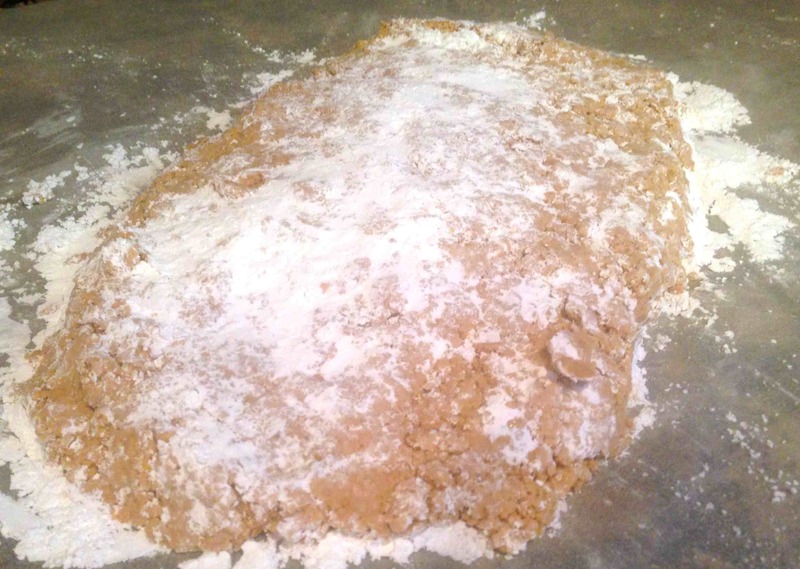 Dump the dough onto the prepared surface, patting the dough together into a large, flat sheet. Dust with remaining ½ cup confectioners' sugar and roll out with a rolling pin to slightly less than ¼ inch thick. 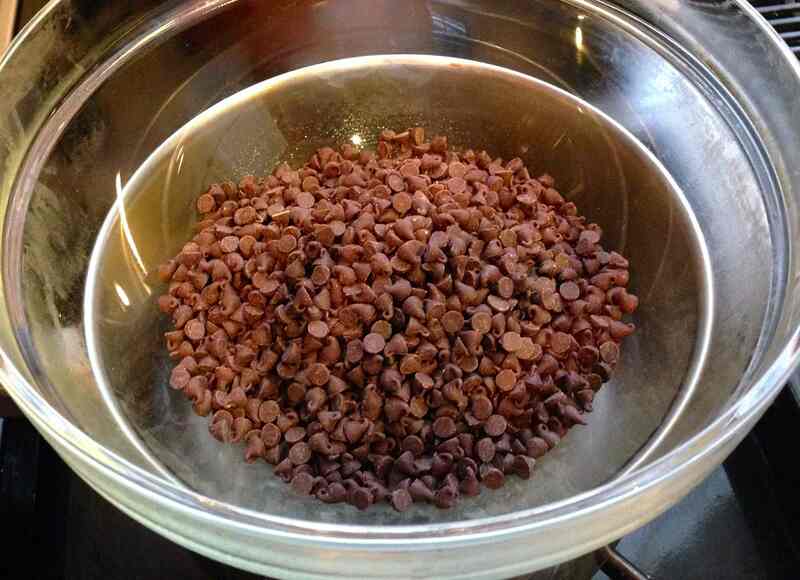 Melt the chocolate chips in the top of a double boiler over medium heat. 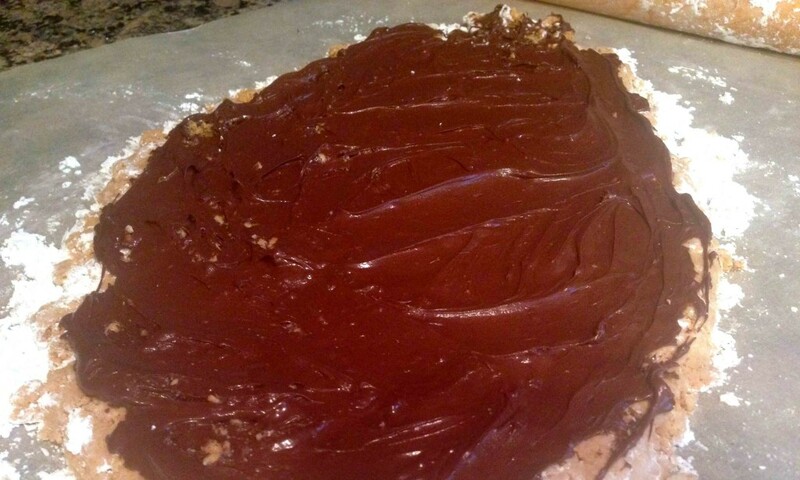 Spread the melted chocolate over the sheet of cookie dough with a flat metal spatula until evenly coated. Transfer the dough to the refrigerator for 10 minutes. The chocolate should cool and become semi-hardened. Remove the dough from the refrigerator and cut out cookies with a 2½-inch round cutter. Place the cookies on three wax paper-lined 12 x 17-inch baking sheets and refrigerate until ready to serve, at least 2 hours. The cookies must be completely chilled before serving.